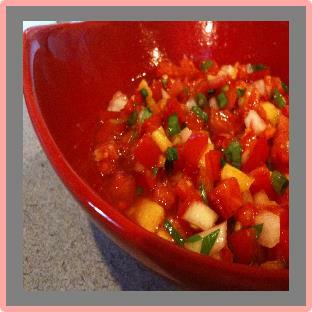 Here is a terrific Salsa recipe I know you will enjoy. 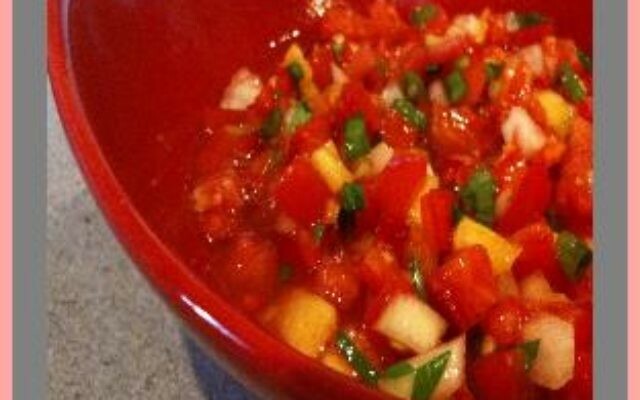 I have several recipes that follow that uses this salsa. So keep reading. Roast the Pepper in a 400 degree F oven for about 20 minutes until they begin to caramelize. Allow to cook and then roughly chop. Combine all of the ingredients in a large bowl and mix well. 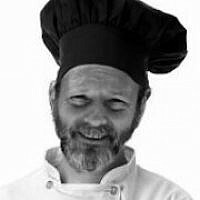 Cover and chill for at least 4 hours before serving. Serve with tortilla chips, pita chips and toasted baguette.